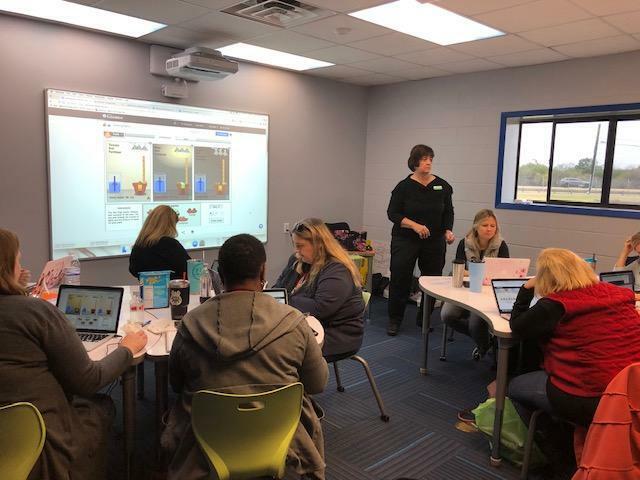 Future Ready Grant » Gizmos! What is, are, or who is a Gizmos? Gizmos is an inquiry based lab simulation which provides students with fun way to visualize scientific concepts. 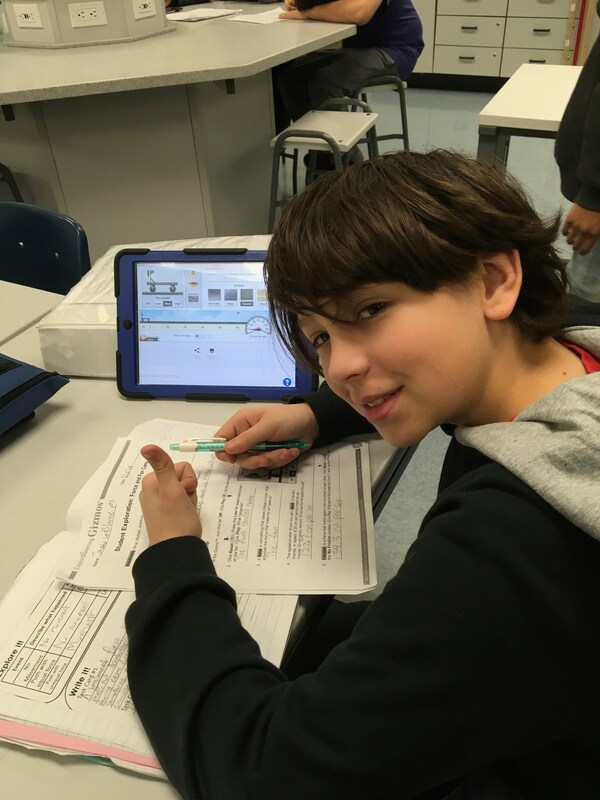 The Gizmo labs allow students to test and retest their hypothesis using various approaches. In Middle School science class, students recently investigated the laws of force and motion by placing various weighted objects onto a cart, and, using the program, would "push" the cart over various surfaces. Students learned that a force is needed to change the motion of an object, that some surfaces are easier to move an object over than other surfaces, that friction is a force that resists motion, and that some surfaces create little or no friction, such as ice or in space. And Gizmos continues into 2018/2019. Science and math teachers attend training in extended use of Gizmos in the classroom. 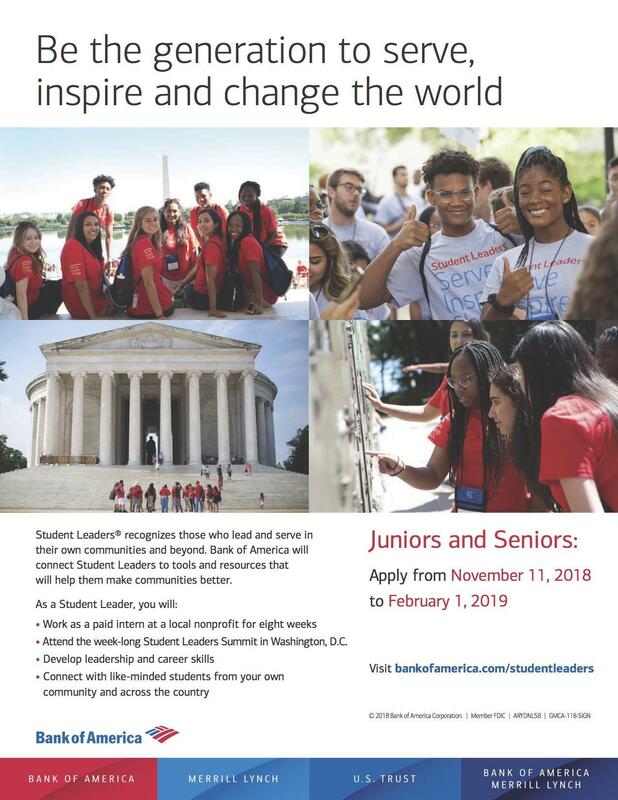 Internship opportunities with Bank of America for Juniors and Seniors! Application deadline is February 1.